The one with the Dr.'s Remedy Fall collection! Hi all! 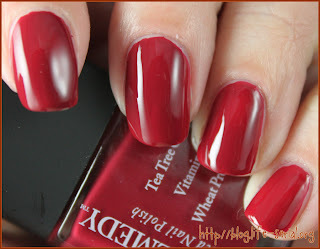 Taking a break from Franken Friday this week to bring you a fall collection that is now one of my favorites - the Dr.'s Remedy Fall Fever 2011! Three rich, creamy shades are a part of this collection - NOBLE Navy, BALANCE Brick and, my personal favorite, DEFENSE Deep Red. Here is a link to the release I posted about this collection. I have been so excited about it since I got that release. The colors are just so right up my alley, and I already know I love Dr.'s Remedy for using using enriching, hypo-allergenic ingredients. But let's get to the polish shall we? 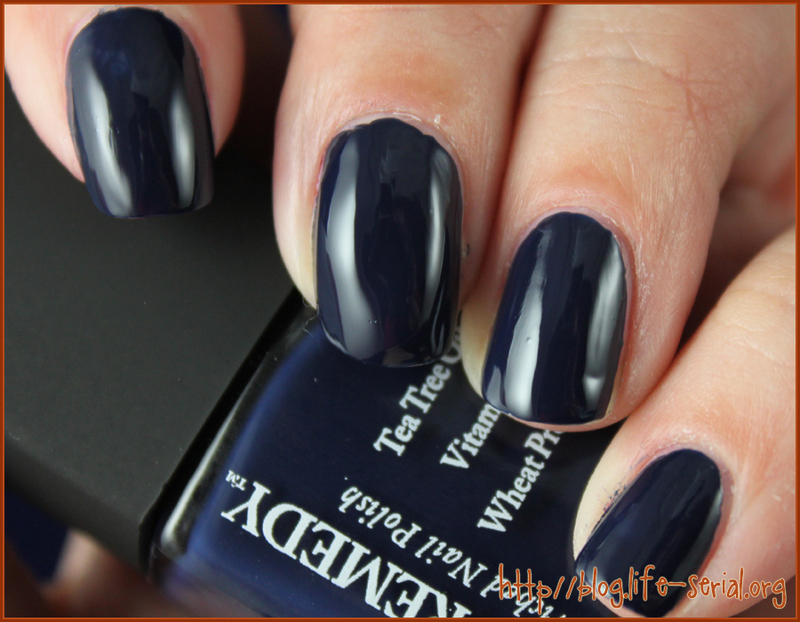 NOBLE Navy - "A sea-at-dusk shade that reflects light and brings dimension to tips and toes alike." This color is amazing! Pictured is one coat....no need for more! Formula was extremely smooth and lovely. No clumpiness or streaking. 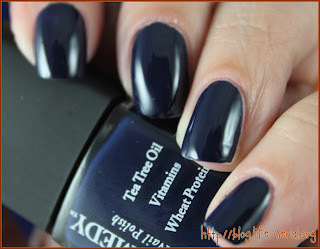 With blue polishes, I always get worried about staining on removal, but I had no staining with this color. I'm quite positive I will wear this shade again and again, as my husband's favorite color is blue. BALANCE Brick Red - "A modern maroon with body and balance"
This color is gorgeous! 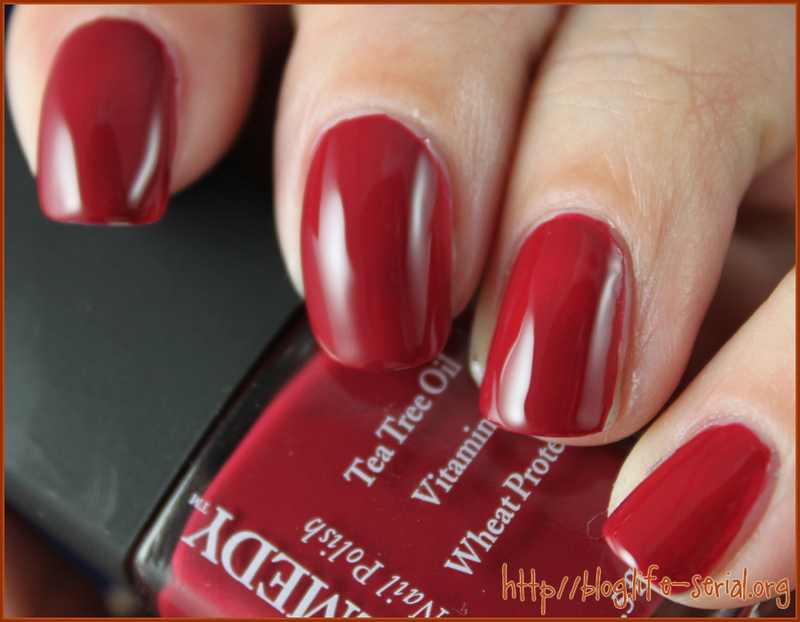 The perfect shade of red for me, this is two coats. I'm a HUGE fan of reds, so this is a definite hit with me. The formula is a tad bit on the thin side, but not enough for it to appear watery or unmanageable. Again, I didn't notice any staining. 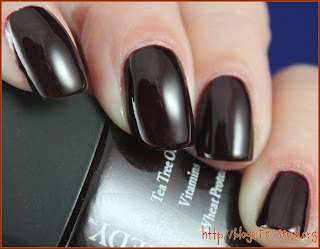 DEFENSE Deep Red - "A rich bordeaux with a mystifying matte finish"
This one's my favorite! It fits in with all the vampy colors floating around this fall season! 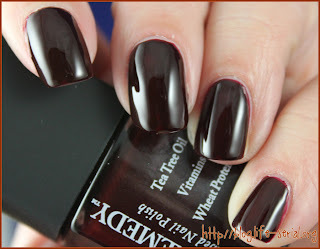 I paired it, in my mind, with Revlon Vixen, but Vixen is more red, where DEFENSE is more brown. I used three thin coats for these photos. The formula was very thin, and because this is a darker polish, it took a lot more to even it out than I had hoped. 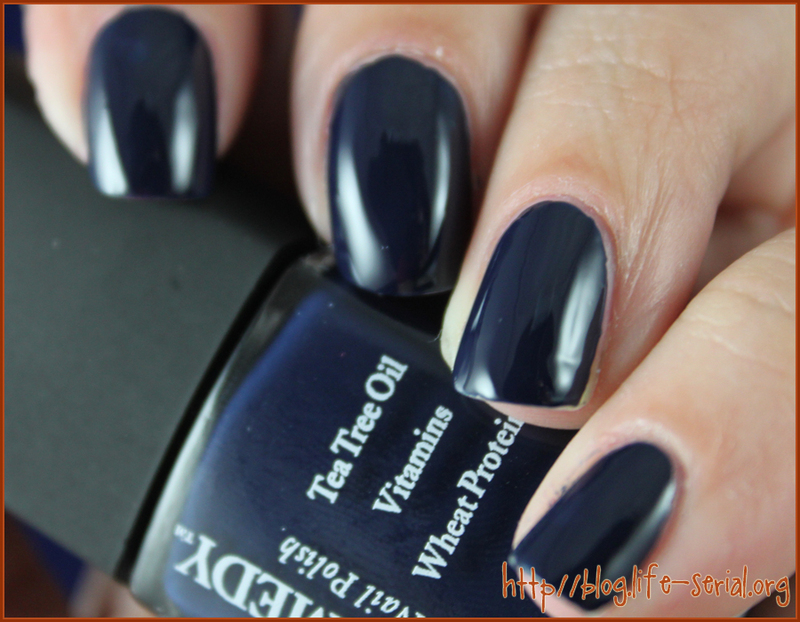 BUT this polish is so great it is worth the extra coats. This one will be a permanent staple in my "everyday wear" ... and I wouldn't be surprised if it showed up in my Top Ten Fave Polishes. What do YOU think about this collection? But a better question: Have you entered my giveaway? ?